Lets face it the days of “If you build it they will come” SEO are over. If this is you, we recommend that you take this post very seriously. The world of marketing is moving fast. Basic content marketing and SEO still play a role, but they’re taking a backseat now as pieces in what is becoming a much bigger puzzle. As Ron Burgundy found out the hard way, “Times, they are a changin.” Our traditional strategies for online marketing are getting rocked at their core. Why? Because the online spaces where we’re competing are getting more and more crowded by the day. So, take just a minute to grab some tissue because you’re about to have to console yourself. You know all that time you spent this past year, pouring over those awesome blogs you developed? Yeah, no one cares. No one cares because no one sees them. Sorry if your ego is crushed, but the title of this blog should have been fair warning. We’re just going to lay out the cold hard facts for you because we don’t want you to waste anymore time running your marketing based on old myths. What myths, you’re wondering? …We’re so glad you asked. Myth #1: Lots of content is the trick. Simply not true. What good are tons and tons of webpages full of content when they are simply getting lost in the great black void of lonely cyberspace? Myth #2: Quality content is the separator. We just have one question for you. Would you call the content you find on Buzzfeed, Facebook, Upworthy and Youtube quality content? …Didn’t think so. Myth #3: My “publish and pray” strategy will work. How do you figure? Chad Politt describes this as “playing the content marketing lottery.” Just because content exists doesn’t mean there is anyone there looking at it. And now the competition for the attention of readers is at an all time high. In fact, according to Netcraft, in the year 2000, there were fewer than 8 million websites in existence. Today, there are more than 750 million! Myth #4: My brand will draw an audience. Myth #5: SEO alone is enough. Even the old world of SEO – you know, the one you thought you had down to a science – is changing to meet the demands of growing competition. It’s no longer just about whether your content exists and contains the right keywords. Search engines now increasingly rely on the signals generated by an engaged audience. Ok, so it’s not all doom and gloom. Yes, this reality might be frustrating and discouraging, but it’s also an opportunity to adjust and learn how to succeed in a greater way in this new marketing landscape. It’s time to justify your investment of time – you’ve got to actually start to promote the content you’ve worked so hard to develop. You’re going to need a content strategy that’s sharper, that’s smarter…that’s prepared to compete with this whole new world of marketing challenges. And it all comes down to content promotion. 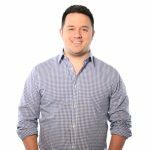 Ryan Skinner really hit the nail on the head in his article “Great Content is Not Enough.” He claims that the quantity vs. quality debate has been distracting us for too long from the real problem – a lack of a promotion strategy. So, let’s talk specifics. How do you go about implementing a strategy to draw an audience so that the time you spend producing content is well worthwhile? There is so much we could share on this topic, so consider this a quick overview. In future blogs, we’ll dive into the details and provide you with specific vendor recommendation so that you’ll have the tools you need to hit the ground running. For now, we’ll break down the basics. Of course, there are the promotion channels that we “own” and operate – the one’s we’ve always used. These would be our business blog, eNewsletters, business social media accounts, etc. But are we actually so arrogant to believe that merely publishing our owned media via our own owned channels will get us noticed virally across the internet? We’ve got to stop playing the content marketing lottery. Owned media is always a great place to put time and energy…as long as you plan to mix that strategy with the other two, equally as important channels. Leveraging paid channels is a strategic and effective way to work the system in a crowded online marketplace. Earning the right to be heard is more about a traditional PR approach – reaching out to those who already have a huge audience and building relationships that will pay off huge dividends in the long run. With paid channels, the results are pricey, but more immediate. Earned media is free, but takes longer to develop. 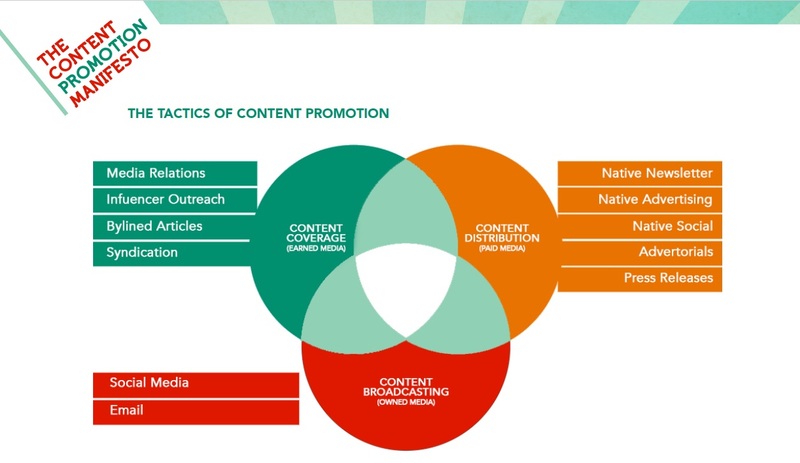 In order to effectively distribute your own branded content, you must master the science of leveraging these three channels simultaneously. Beyond the science, there’s an art to finding a balance in how, when, and to what extent to use each of them. And you do need a mix. Why? Because owned can only get you short term results, paid can be pricey and 54% of readers don’t trust sponsored content anyway, and earned media is free, but takes longer to develop. We’ve always been big believers that some of the most effective promotion strategies involve doubling down on past successes. So, if you have a blog that has performed well with little to no promotion in the past, put your energy into promoting that through a variety of channels to truly optimize what is already working. Don’t base your entire SEO strategy on keywords that have the highest visibility with the least amount of competition. Content Promotion is not easy. It’s is extremely time consuming. You have to have plan before you start writing or graphic designing. You have to know what you are going to say, who is your audience and how can the engage. Content Promotion has to be your Marketing Companies craft. If this concept is not constantly discussed at your marketing meetings it should be. Content Promotion can be outsourced effectively. Contact us for ideas on how to get the most out of your marketing.